The second amendment has served us well, but that protection is being undermined by those who want to disarm the American population one step, one gun, one regulation, restriction, fee and tax at a time. Their case for doing so is flawed beyond reason, but it doesn't stop them from working overtime to exert power and whittle away at our liberty by exploiting any and every crisis they can get their hands on. How valuable is your home and family, your personal liberty, your solace, your individual right to protect yourself and the people you love? Is it valuable enough to get informed, to get out and get vocal and visible about what is happening? This weekend on Saturday, February 23rd, we have an opportunity to do just that. It's time to stand up to those who want to penalize law-abiding gun owners for crimes committed by the lawless. 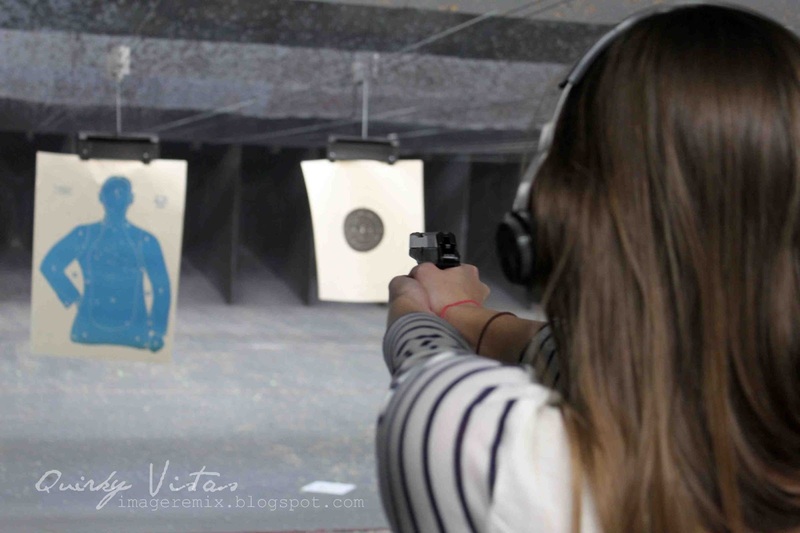 It's time to show lawmakers that Americans do not intend to relinquish our right to defend ourselves, nor do we intend to allow any of our other personal liberties (granted to us by God, not man!) to be stripped from us by those who by some absurd rationale have deemed themselves to be of higher authority. 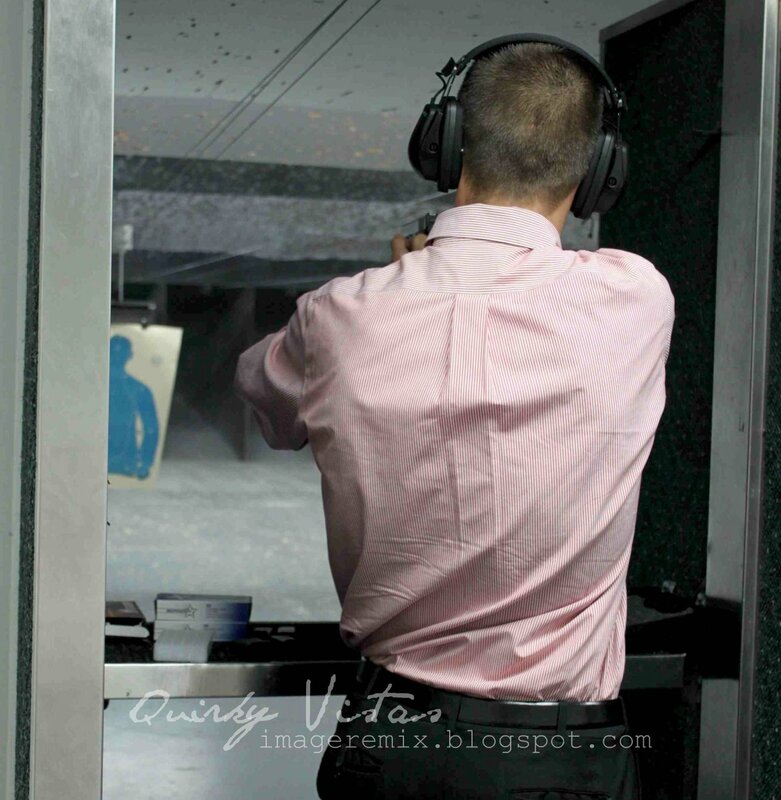 Earlier this month, Casey and I went to the pistol range with my nephew, Paul. We had a blast, quite literally. We worked our aim and we all shot pretty well. 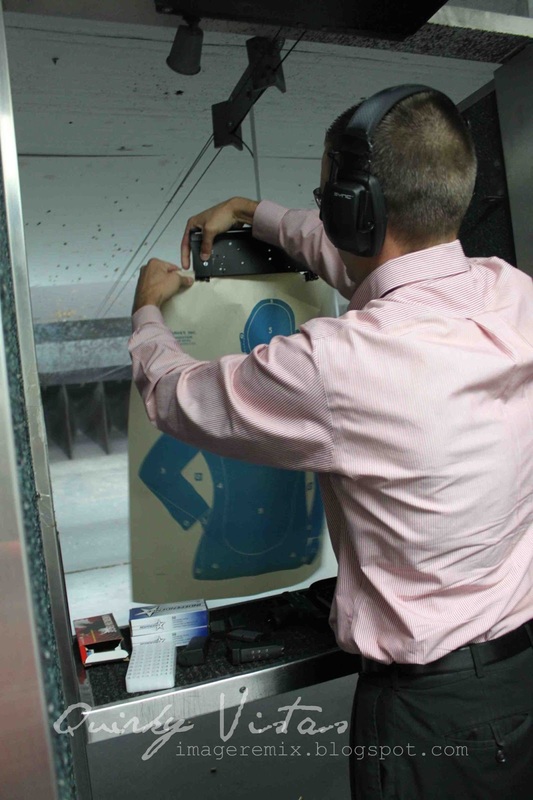 We want to be proficient with a firearm should the need arise. but also from an out of control government. 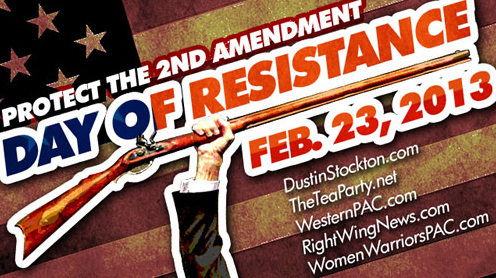 Saturday, February 23, 2013 is being billed as a Day of Resistance. Rallies have been organized nationwide for American Citizens to stand up in defense of our 2nd Amendment rights. 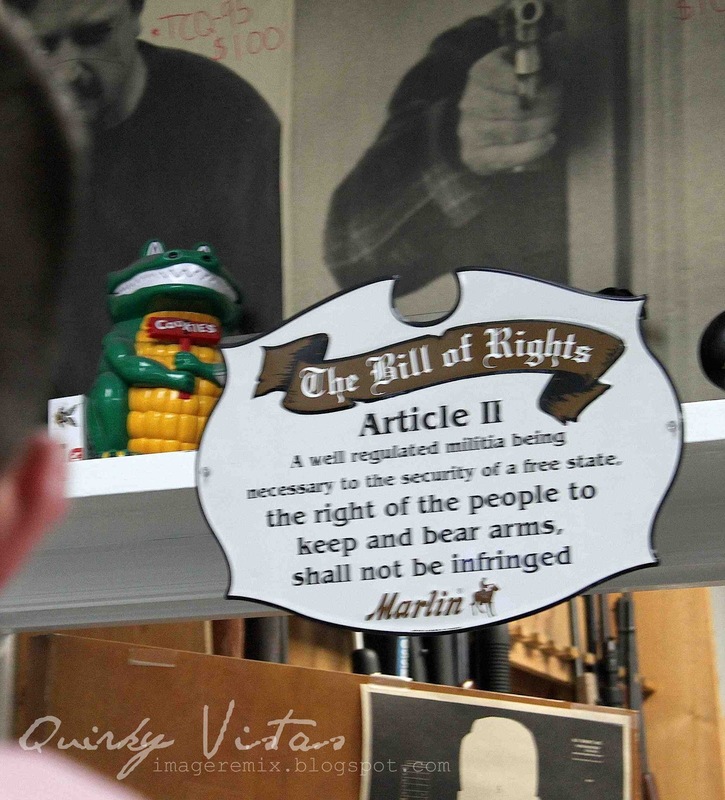 You can read about these 2nd Amendment Rallies at DayofResistance.com, and there is also a story about them on Breitbart.com, as well as on numerous facebook pages and other websites. The opportunity is here this weekend to join in a 2nd Amendment Rally near you. Bring your family along; it will be a chance for your children to learn anew the history of our constitution and our right to bear arms and why it is so critical. ...For you, your home and those you love. I totally agree. I don't appreciate a government that thinks it can govern every aspect of a citizen's life. It's getting out of control. I'm not even a gun owner, but I believe in the rights of citizens to bear arms and defend themselves and their family. Agreed! A government that wants to disarm it's people is a government with a hidden agenda. I don't love it. We live in the country. We own licensed firearms. We have hunting licenses. 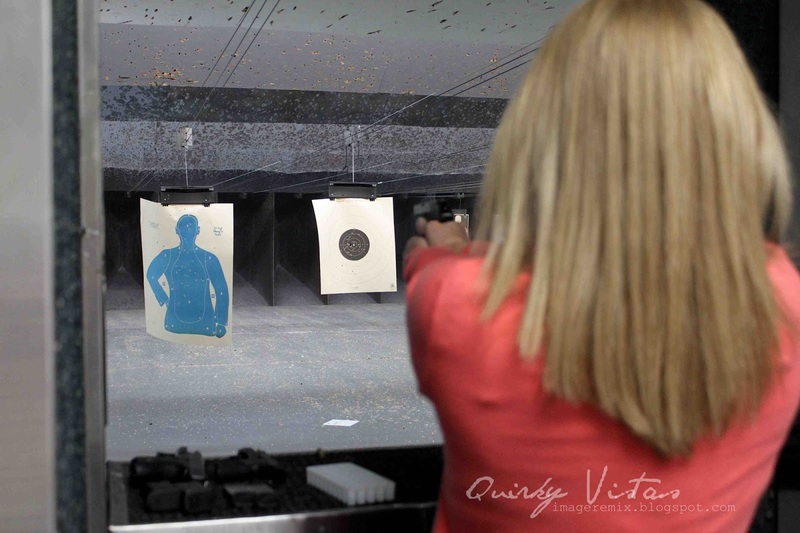 We know gun safety and we teach it to our kids. I feel very safe knowing where my gun is. I hate guns myself, and completely agree we should still have the right to own them. That right doesn't force me to go buy one, and it doesn't stop others from choosing too. We are talking the right to arm bears correct? Yes, I think Bears should be armed. AMEN! Guns don't kill people People kill people! Obama's goal from day one has been to take America down. THis is just one more step towards that goal. A free country this is NOT. I am a proud veteran of the US Air Force, my son is a veteran of the US Marine Corp and did 2 tours in Iraq and Afghanistan. I am a gun owner and a hunter. That being said, I view, comment on, get inspiration from and just thoroughly enjoy my blog world. I don't expect nor do I appreciate finding political (we probably disagree on my terminology) viewpoints here. I don't subscribe to THIS for THAT. I respect your right to your beliefs....THIS does not belong HERE. Dear Anonymous, Thank you for exercising your free speech rights, however, I find it interesting to think that any of us should only speak about "certain" topics (and which exactly are those? How would anyone know then when they are on the wrong topic? That smacks of political correctness, which I am adamantly against. And where is the "here" of which you speak?). Last I checked, this blog represents my life, what I enjoy and am concerned about and what I think is important. Life is short, there are weighty matters at hand. My goal this year is to discuss that which I find meaningful as well as the fluffy fun stuff. Protecting rights given me by God, which are under attack, is one of those important topics. I do not believe freedom (or any other subject) is to be kept hidden away and whispered about in the corner or in designated zones. An uninformed populace is in danger of losing their freedoms. I appreciate your service to our country (and that of your son) and I thank you for that. I believe the rest of us serve our country where we are in whatever ways we are able to carve out for ourselves in our circles of influence. I understand that not everyone will agree with me; that's understood up front, but the sharing of ideas and concerns is valuable, certainly nothing to shun or avoid. I will use my voice to speak my convictions without reserve or hesitation without regard to where I am. I will not back down on that. Contrary opinions are certainly welcome (free speech all around!) but I find it interesting, to put it mildly, that anyone would be so bold as to declare where and when someone else can speak and about which topics. I won't self-silence and I won't be silenced by others. Agreed. Our rights are being attacked, and government intervention is too big now. There are agendas we cannot know at work, but God is in control. I DO subscribe to blogs where women are strong in their beliefs and write about what's on their minds and in their hearts. I will continue to come HERE to SUPPORT THAT. Really? Your right to protect yourselves and your PROPERTY? Against who- your own self-same-said brethren in arms. Scary logic. Time for Americans to "get a grip" on common-sense, global sophistication and a modern intelligence and not on the handle of a weapon. Your defence of antiquated "right" is sounding quite insane. GUNS DO KILL. That's how all those children were killed. Didn't you see the news? We did once again here in Canada, and are still shaking our heads over Americans blindness to it. Now your blaming mental illness!! Do you honestly figure a person of mental illness without the FINE TRAINING IN SHOOTING SINCE A CHILD AND ACCESS TO A SELECTION OF GUNS AND FIRE would have opted for this choice? Mental health is as simple as IE: sadness prolonged over the death of a child...check-in with those families in six months; guaranteed half will be suffering a depression. In a year,half of that half will still be requiring professional "mental" HEALTH support. It's normal. Do you understand the differences between chemical imbalances in the brain that are not the individuals fault, genetics etc and someone who is sad? Both have a mental health illness, both can become irrational, both can be helped and should be. Again victims. You will survive without a gun in your home. Learn to dial 911. From here (VERY THANKFULLY ON THE NORTH SIDE OF THE LINE), you tend to just look for reasons to shoot your guns. Perhaps your hedging towards another Civil war and you'll do as I indicated at the beginning...start killing off your own-self-said-same brethren, all in the name of "rights" But Hell...you've done it before; to protect your right to own property...only then it was slaves. YEP - you've come a long way baby. I will no longer be following this blog. Wow! I can't believe your post freaked out so many people! You are right in all that you said. I don't understand how the Constitution is being ignored and ammended. I personally think that if we followed the Bible and the Constitution - the real one - we would be so much better off. HI, Liz,I've been away for a few days without computer access and am now catching up. What a great post! Thank you for having the courage to voice your personal opinion on YOUR blog! How ridiculous that some readers think they can choose what you have the right to talk about. I am in full agreement with you. As a summer outing this year, our family of 4, my husband and I and our 2 twenty-something kids all spent a day in training for our concealed weapon permits. We are all carrying licensed guns. Bad guys with guns (most of which are illegal) kill people everyday. Why should we surrunder to them. As for calling 911, I live 20 minutes from the nearest sheriff's department. I guess intruders would agree to sit and wait for the officials to get there. Our family sees it as our responsibility to protect ourselves much as the founders of our great nation felt.